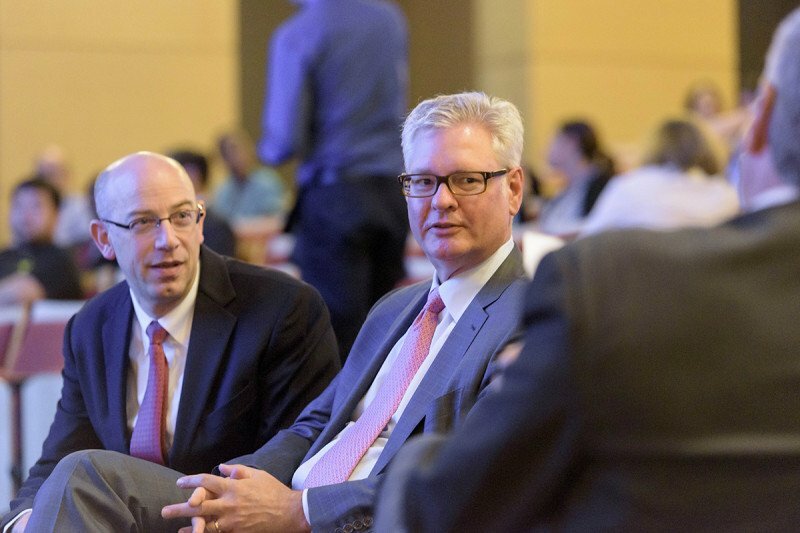 Druckenmiller Center co-directors Charles Rudin (left) and David R. Jones. 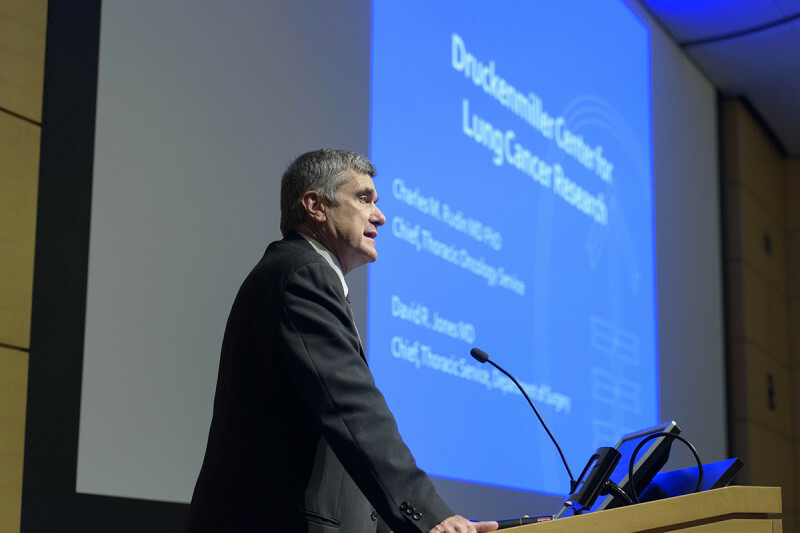 Memorial Sloan Kettering’s Fiona and Stanley Druckenmiller Center for Lung Cancer Research (DCLCR) strives to develop innovative and more-effective treatments for people with lung cancer by integrating the efforts of our world-class leaders in laboratory and clinical research. The need for this coordinated, multidisciplinary initiative is stark, as lung cancer continues to be the primary cause of death from cancer around the world. Dr. Thompson addresses the crowd at the opening event. 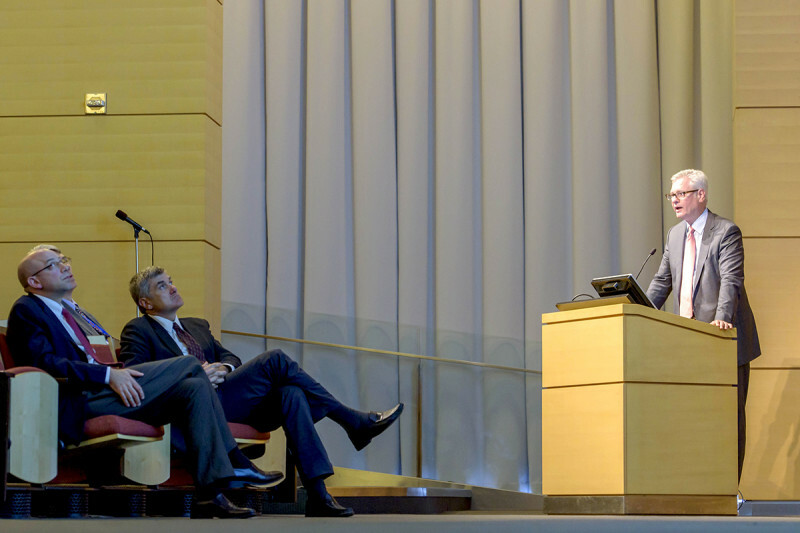 Dr. Jones describes why the Druckenmiller Center fills a critical need. To accomplish this streamlining and testing of innovative treatments, we’re recruiting exceptional research faculty, staff, and trainees focused on lung cancer; promoting interaction among all MSK lung cancer researchers through cross-disciplinary meetings and seminars; and welcoming innovative research proposals, including creative pilot proposals, from scientists around the globe. We also plan to promote the education and mentored training of young investigators in lung cancer research and to find ways to educate patients and their families about the disease — and how they might get involved in clinical studies we’re undertaking.